For years, we’ve known that making sure you’re getting enough exercise can help you get a better night’s sleep. It turns out, however, that not all movement will help you when it’s time to get your nightly rest. University of Pennsylvania researchers looked at data collected from more than 400,000 subjects in 2013. The Penn researchers measured whether each of 10 types of activities was associated with typical amount of sleep, relative to both no activity and to walking. Survey respondents were asked what type of physical activity they spent the most time doing in the past month, and also asked how much sleep they got in a typical 24-hour period. Since previous studies showed that people who get less than 7 hours are at greater risk for poor health and functioning, the study evaluated whether people who reported specific activities were more likely to also report sufficient sleep. What they found was that physical activities, such as walking, as well as aerobics/calisthenics, biking, gardening, golfing, running, weight-lifting, and yoga/Pilates are associated with better sleep habits, compared to no activity. But, they also found that there are activities that, while physical, actually seem to reduce the amount of sleep the subjects received on average. Those activities were housework and childcare. 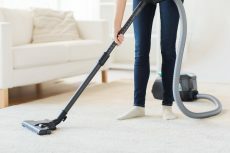 Gardner said it was interesting that people who receive most of their activity from housework and childcare were more likely to experience insufficient sleep. However, it’s been established in previous studies that home and work demands are some of the main reasons people lose sleep.